We accidentally subscribed to National Geographic this year, and we continue to be pleased by our error. The photography is perfect. Check out their series on Greenland (article) and the twins who share a brain. 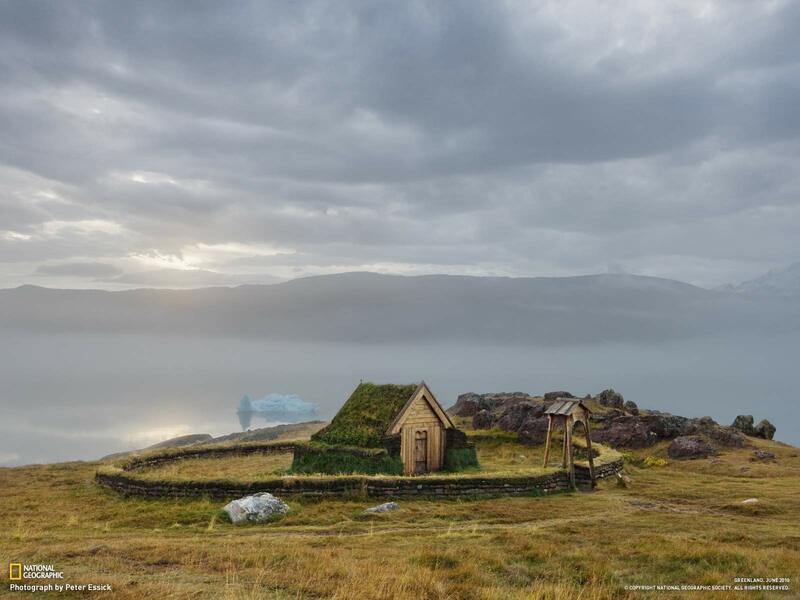 My computer wallpaper is a replica of the tiny church that Erik the Red built for his wife in Greenland. Download more wallpaper here and here. I’ve just subscribed to Smithsonian Magazine for my nearly 8-year-old. My great-grandma had huge archives of the magazine (among many others), and I absolutely loved Smithsonian as a girl. I’m planning to subscribe to National Geographic and National Wildlife for her over the next few months. My mom subscribed to the National Geographic when I was young. I started receiving it myself 10 years ago. I would think it’s one magazine that isn’t the same online. I wonder if older people and doctor’s offices are a big part of their demographic.